Born in Massachusetts in 1863, Ernest Lawrence Thayer was an American poet and writer who is solely remembered for one famous comic verse and the habit he had of signing his poems ‘Phin’. Thayer was born into a fairly wealthy family and had a good education that led him to attend Harvard University in 1885 where he was responsible for editing a couple of magazines including the Lampoon. As a member of the Hasty Pudding Club, the theatrical society of Harvard, Thayer came into contact with a wide range of the country’s rich and soon to be powerful people. 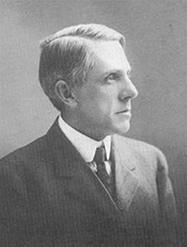 One of these was William Randolph Hearst who came from one of the most prominent families in the US at the time. It was a stroke of luck that would see one of Thayer’s verses become almost a national institution. 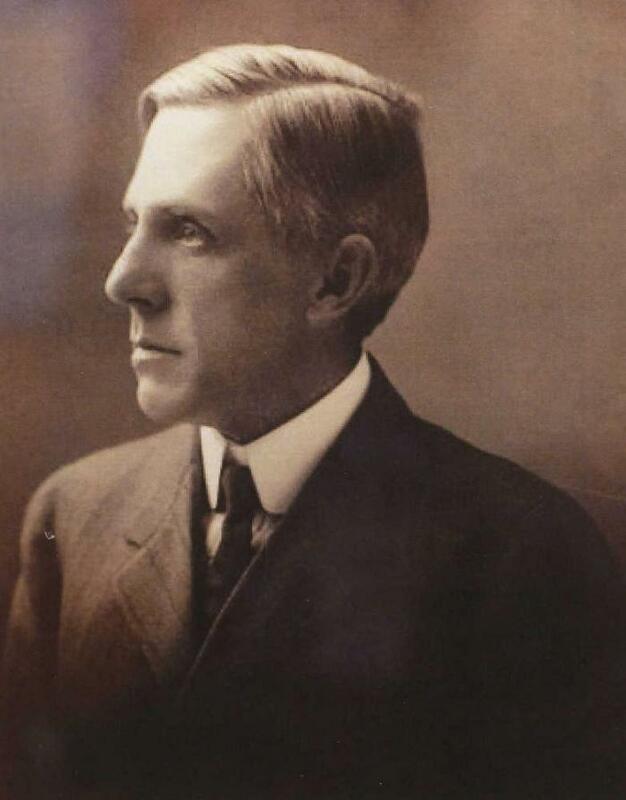 The story went that in 1885, George Hearst, Randolph’s father, wanted to run for senator in the State of California and so decided to buy a newspaper to further his ambitions. When the election was over George gave the San Francisco Examiner to Randolph who immediately employed some of his friends, including Thayer, to work on the paper. 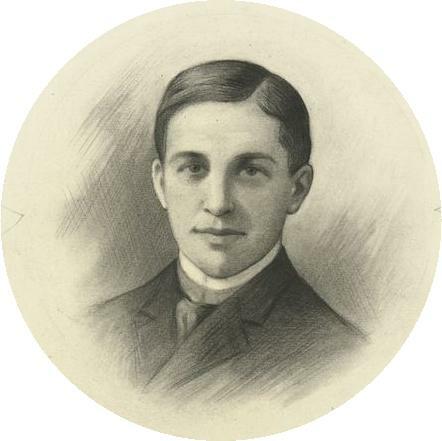 Thayer worked for the Examiner between 1886 and 1888, until ill health affected him, writing a humorous column that included some of his own poetry. 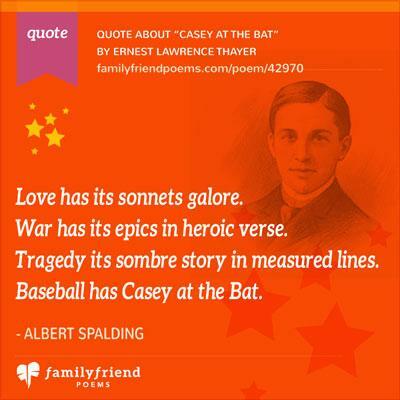 The last poem that he wrote for the newspaper was called Casey (later to become known as Casey at the Bat) which received very little attention at the time of its publication. One thing did happen, however, the poem was republished in the New York Sun where a little known writer called Archi Gunter clipped it out and saved it. 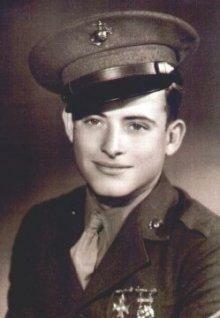 Later, he gave it to his friend and comic actor William DeWolf Hopper who read it out on stage. 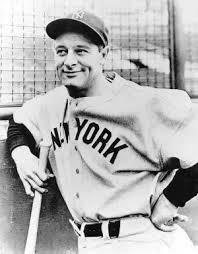 Another startling coincidence was that, on this particular night, two baseball teams, the Giants and the Mets, were in the galleries. The poem was an instant hit with the audience and Hopper kept it in his act thereafter. The problem was that, as fame of the poem spread, no one knew who had actually written it as publication in the New York Star had been anonymous. 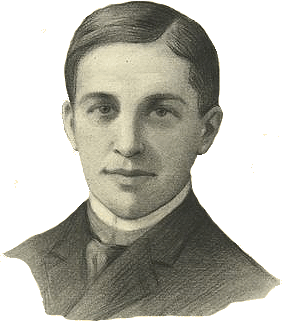 By this time Casey had returned to his home town of Worcester and was managing one of his father’s mills but he took time to visit Hopper and reveal himself as the author of one of the most popular poems in America. 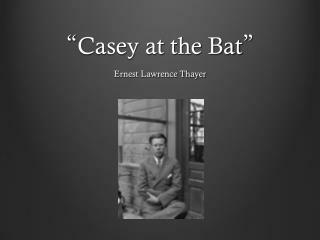 The rest of Thayer’s work is mostly unknown and Casey at the Bat is still considered one of the best sporting poems ever written with its equal measures of comedy and pathos. Thayer admitted that he had written most of his verses to meet deadlines for the Examiner and hadn’t put much credence on their quality. He never received payment for the reprints of the poem and, indeed, said he found it more of an annoyance than anything else. Thayer retired to California where he bought a place in Santa Barbara in 1912, remaining there until his death at the age of 77 in 1940.